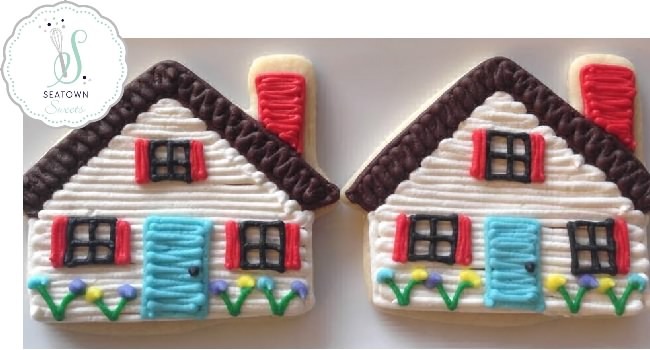 Frost a batch of house cottage cookies for a real estate graduate, sale of a home or to leave for the new owners of a home. Frost a batch of cookies for an open house or a gift for new home owners. 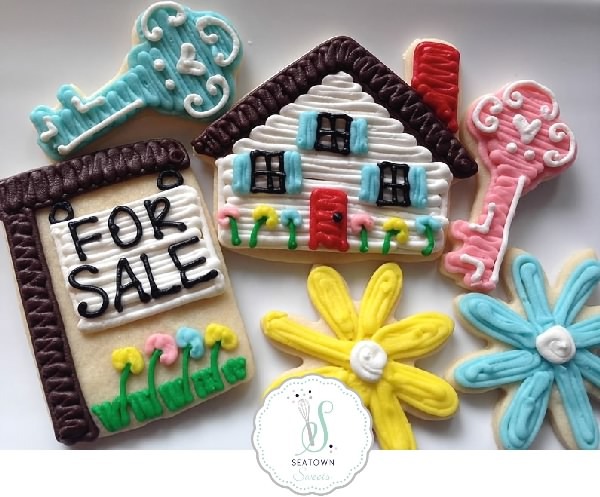 The cottage house and key cookie cutters are perfect!